Congratulations to Hafal’s Big Lottery-funded Let’s Talk! team which has won runner up prize in the poster competition at the annual British Psychological Society conference in Brighton! The winning poster introduced the Let’s Talk! 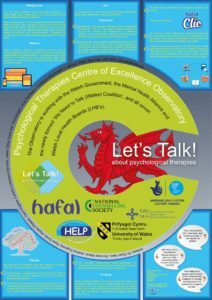 project’s new Psychological Therapies Centre of Excellence Observatory, and highlighted issues around accessing psychological therapies for people in Wales. Frank Kitt, Let’s Talk Coordinator, said: “We are absolutely delighted to receive a prize for our poster, which was a real team effort. 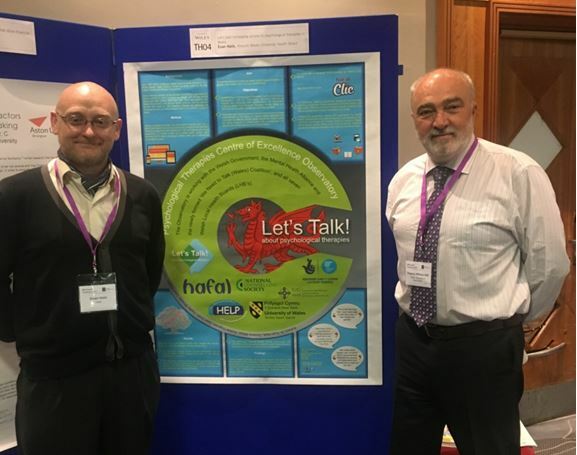 It was very well received at the conference: many psychologists and therapists were unaware that IAPS is not in operation in Wales and were very supportive of the ‘Let’s Talk! project’s objectives, as set out in the poster.